The construction of optical systems has conquered the third dimension. 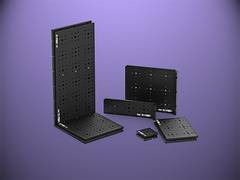 With its BreadBoxes, 3D Optix has developed a modular assembly system with which components can also be mounted perpendicularly. Floor/ceiling elements, walls, and extension parts can be used to create any complex structure – according to the modular principle – that takes up considerably less space in the laboratory. For maximum accuracy and stability, all optomechanical elements and adapters are positioned with dowel pins and additionally fixed with screws. Once installed, individual structures can even be removed without affecting the alignment of the overall system. For example, submodules such as delay lines can be set up, which can be inserted into an assembly and removed again as required without additional adjustments. 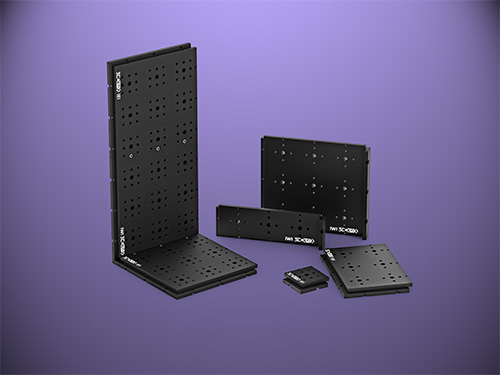 The BreadBox platform is suitable for optical elements with standard sizes (0.5”/1”/1.5”/2” or 12.5 mm/25 mm/37.5 mm/50 mm) and is compatible with standard optomechanical components.